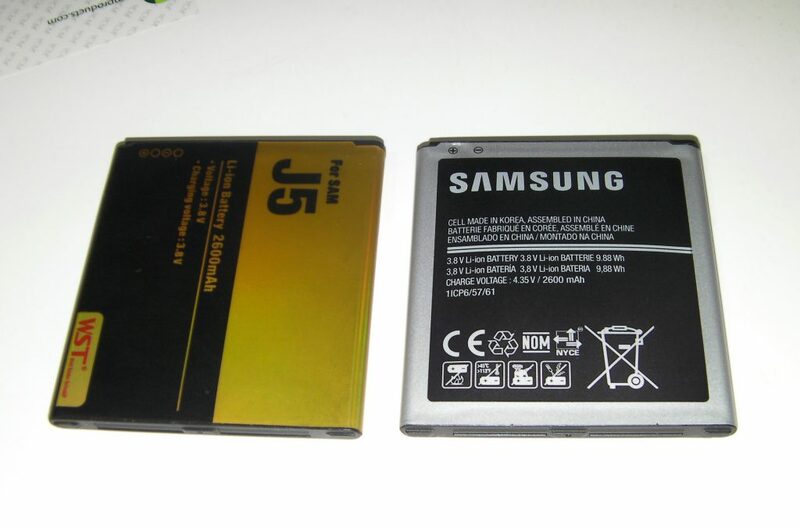 Sooner or later, all mobile phone users face the problem of a worn out battery. On average, the battery operates normally for about 2 years, then, depending on the operating conditions and the number of charge-discharge cycles passed, degradation and capacity decrease occur, and the battery life accordingly decreases. In more severe cases, improper operation of the battery leads to its deformation and swelling, and this can damage all other components of the phone. Of course, many users manage to change the smartphone in these 2 years, while others are faced with the problem of replacing the battery. Certainly, you always wish to replace the battery with the original one, but first of all it’s difficult to find a battery for an outdated model of a smartphone in retail sales, it is more likely that you will have to contact the official service center of the manufacturer. Secondly, the price of 25-30 $ will not please you. The second alternative is to buy a battery from third-party manufacturers. 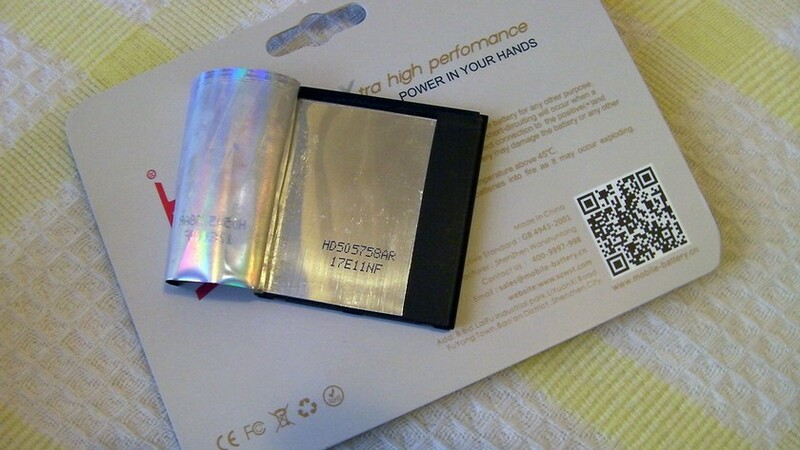 In this case, there are some difficulties, the market is full of copies of batteries of a different quality. So there is no guarantee to purchase a quality replacement, it’s like a lottery. After some searching, I paid my attention to WST company. Based on the information provided, they have been producing the batteries for a long time, there are sites with their products and video of the production process, etc. 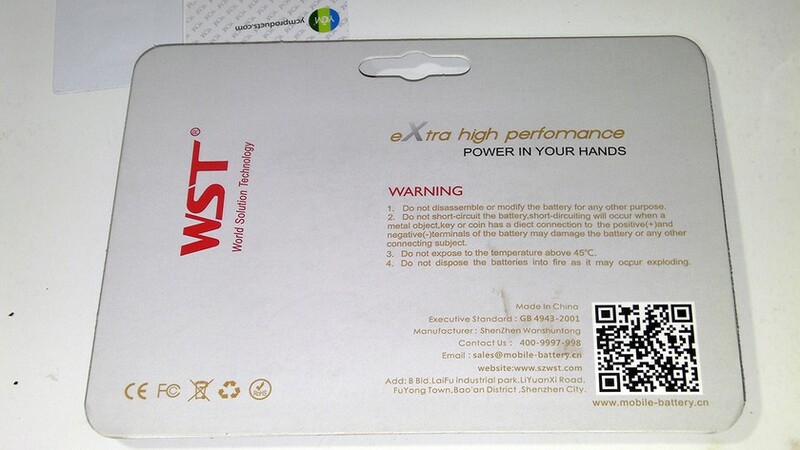 They have some sort of certification, they participate in exhibitions, trade at many popular online venues, but, certainly, all this can not be related to the quality of their products.In the end I ordered the battery from WST company. So, the following components are in the box: the battery packed in retail packaging and an ordinary set of screwdriver for the phone disassembly. The packaging was already opened, the package might have been checked before shipping. 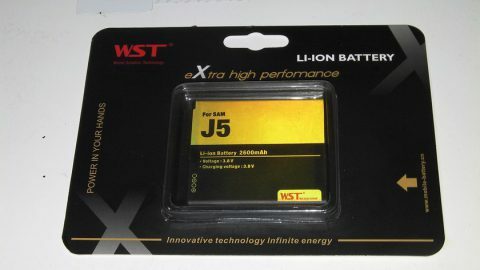 If we compare this battery with the original one, we shall find out that the WST’s battery is heavier a little bit, but they are the same in size. Let’s see if the Chinese have put something to gain weight. There was a time, when the counterfeits with a plastic frame around the perimeter or with a laminated plate to give a thickness were very popular. I did not fully peel off the label,seems everything is fair. Let’s insert the phone and turn it on. The phone shows a charge of 55%. To get more accurate display of the battery charge, we perform a calibration, by discharging upto the shutting down and then charging up to 100%. It takes this model to be fully charged for a very long time, the charging current does not exceed 0.9A using any chargers. The full cycle takes more than 3 hours. The phone discharges the battery to 3.2 volts, at 100% of the charge on the battery, the voltage is about 4.32V. 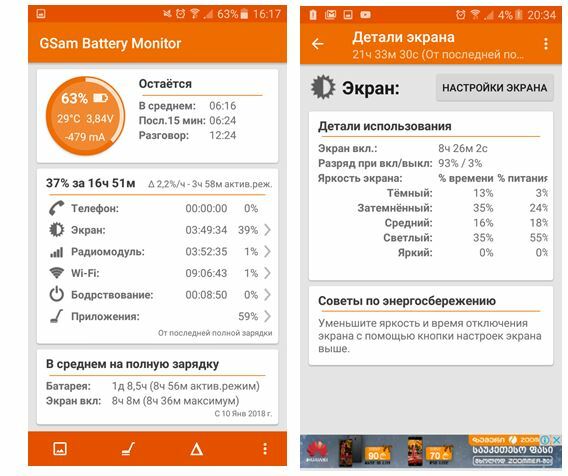 As you know, you can calculate the exact capacity of the battery only when it is discharged, I do not have special devices that allow to do that outside the phone. 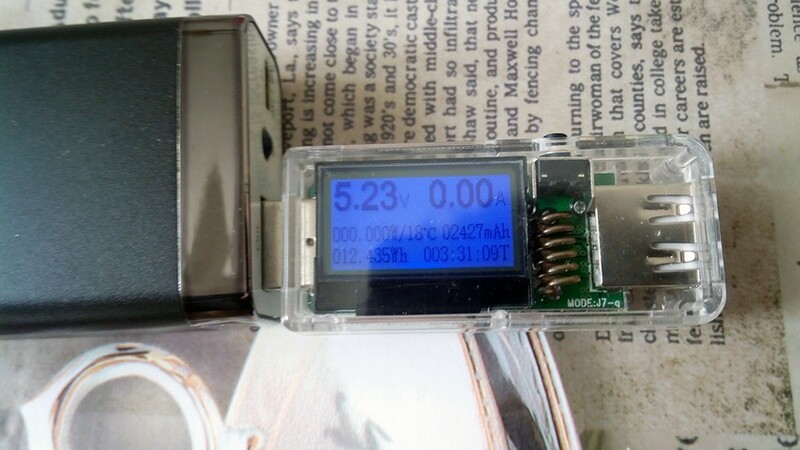 Therefore, we will estimate the capacity when charging using one of the many usb battery testers. 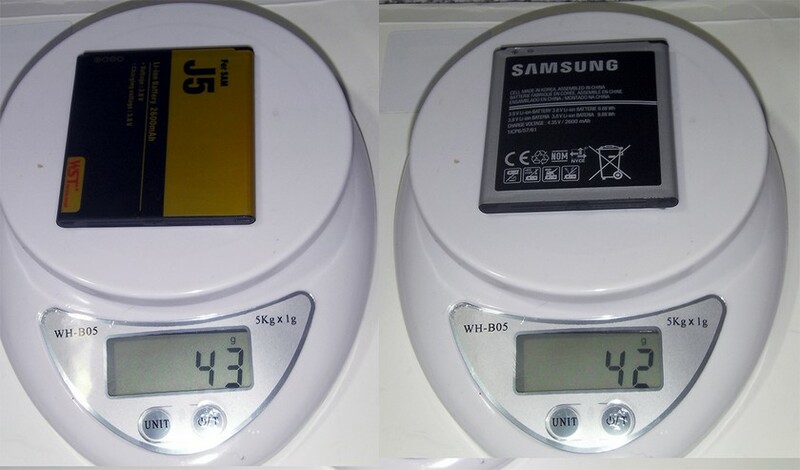 The received numbers reflect the capacity of the battery more or less . If we assume that the conversion loss is 20-25%, then we get the data that are equal to the claimed capacity of 2600 mph or 9.8 Wh-h.
Now let’s get down to more practical tests, let’s see how the battery operates in the phone. I will not run any specific tests or benchmarks that will show meaningless score. On average, the battery can work for about 8 hours of screen operation at medium brightness, the workload is mostly online video and browsing. No failures of a charge or sudden disconnections, overheating (a temperature sensor is present) were seen for 3 months. According to the three month operation, the battery proved to be of good quality and meets the declared characteristics. 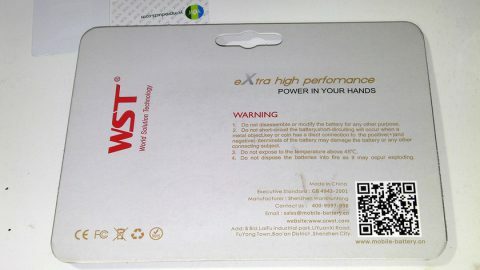 I think you can consider the WST company’s batteries as a good replacement for the originals,you can buy the batteries for the popular Samsung and Iphone models, as well as a variety of Power banks in their product range.